(Boston, MA) – BOND, the Northeast’s premier full-service construction management and general contracting company, announces it has received a Construction Management Association of America (CMAA) Project Achievement Award. The Sally Blair Ames Sports Complex at Stonehill College in Easton, Massachusetts won in the New Construction category at the awards ceremony on April 19, 2016. The new facility offers students, faculty and staff over 100,000 square feet of much needed recreational and athletic space. Named in honor of the College’s former president, The Rev. Mark T. Cregan, C.S.C., Athletic and Fitness Center houses weight and fitness rooms, group exercise rooms, student lounge, locker rooms for 12 teams and a sports medicine facility. It also features the Lou Gorman Pavilion, showcasing sports memorabilia donated by the former Red Sox Manager to his alma mater. Stonehill College engaged BOND early in the design process, along with architect Sasaki Associates, to provide preconstruction and construction management services. BOND utilized both in-house Building Information Modeling (BIM) and laser scanning services to analyze the facility’s existing conditions, resolve design conflicts early, enhance efficiency and lower cost. The project was completed in time for the start of the 2015 academic school year. With a fast-track 14-month schedule, the building opened to coincide with the football team’s first practice. 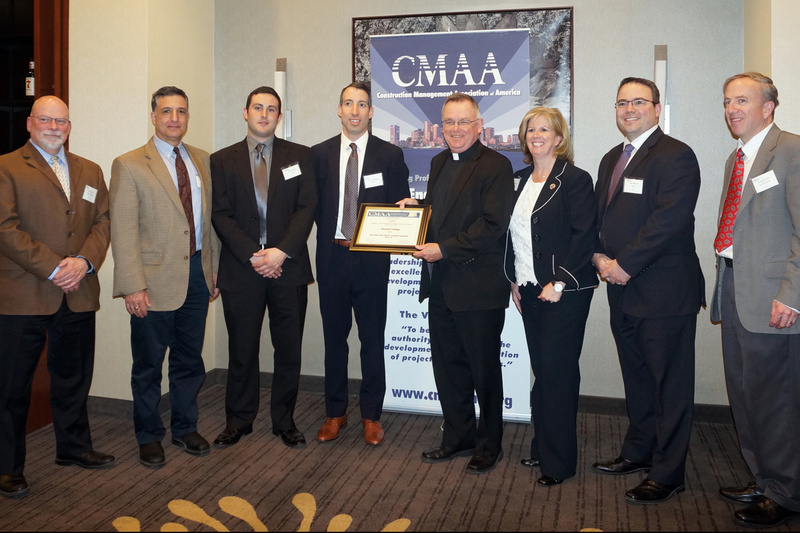 The CMAA New England Chapter holds its annual Project Achievement Awards to recognize exceptional achievement in the New England construction management community.